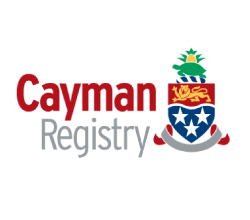 The Maritime Authority of the Cayman Islands (MACI) incorporates one of the world’s leading international ship registries, the Cayman Islands Shipping Registry (CISR); today almost 1,800 ships sail under the Cayman Islands flag. The Maritime Authority’s mission is to facilitate the development of the Cayman Islands as an international maritime centre and help foster a dynamic environment to support the needs of their customers. MACI has employees and representatives working in various international locations, including the Cayman Islands, the UK, France, the Netherlands, Greece, Italy, Japan, Singapore, Hong Kong and the USA. Despite working in these diverse geographies, MACI staff use, share and store many of the same important and controlled documents. Previously, due to the diverse nature (and geography) of MACI’s business, controlled documents that were available in many locations were often printed and stored by a number of individual employees in these disparate locations. This resulted in an inevitable loss of ‘control’ over versions of documents, as well as loss of definitive knowledge that documents used were up to date. 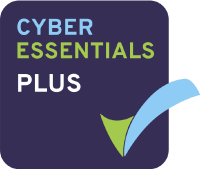 MACI identified a clear need for a new secure web-based document portal which needed to be easily accessible, (and manageable by MACI themselves), as well as allowing their staff to access it from anywhere in the world whenever required (24/7). They also needed the option for certain users to have access to important documents when either online or offline. MACI selected PDMS to develop and deliver DoxShare, which PDMS proposed was be best delivered as a complete ‘Cloud-based’ managed service. The CDP’s powerful yet flexible security model enabled MACI employees, external contractors and members of the general public, access to specific documents from anywhere in the world. The document version control feature also eliminated the risk of keeping multiple copies of changing documentation. MACI’s downloaded documents were easily stored locally in a secure, encrypted offline repository. PDMS provided full data recovery services so even if their offices were inaccessible, MACI’s CDP library of documents were be safe and remained easily accessible from any location. Increased customer collaboration and efficiency gains as customers were provided with secure access to shared documents. Improved ownership of documents ensured that the right people within MACI had access to the most up-to-date version of documents, irrespective of where they were. A decrease in time spent on locating controlled documents, reduced administration overheads. Savings were realised, with reduced storage costs and internal infrastructure burden. Security was enhanced with more flexible control over access to sensitive documents. MACI achieved ISO 9001:2008 certification and the controlled document portal proved to be a real asset in relation to the organisation’s quality system, auditability and overall document control. DoxShare proved to be a valuable tool for MACI ensuring that all employees and stakeholders were able to access relevant corporate documents from a controlled and secure environment, whilst remaining compliant with MACI’s ANSI/ISO/ASQ Q9001 -2008 and MACI Quality Management Policy.